This is an online copy of an unpublished M.A. dissertation, The University of Hull, England, 1988. Available in pdf format. Please cite as: Deflem, Mathieu. 1988. "Processual Symbolic Analysis in the Writings of Victor W. Turner." M.A. 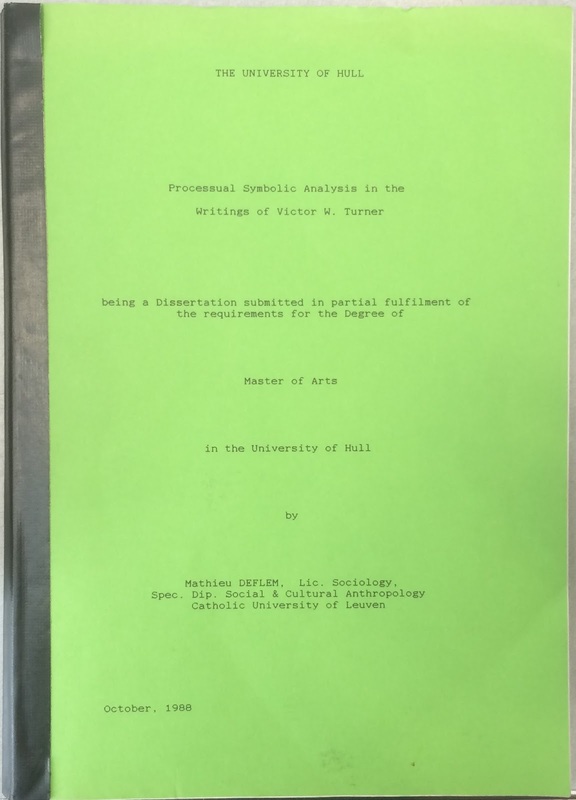 dissertation, The University of Hull, England. This thesis served as the basis for my 1991 article in the Journal for the Scientific Study of Religion, "Ritual, Anti-Structure, and Religion." See related writings on culture.